Although demolition is the main focus of our work, over the years we have developed a great passion for these other construction related services. We are capable of excavating any project with success and in fact, it is commonly offered as a service for the completion of our demolition projects. There are so many things that need to be removed from the property after we are done demolishing it, that our excavators need all the space they can have to go in and do some serious damage. There are actually quite a few reasons one may choose to do some excavation work. Many properties and construction sites need to be prepared before the launch of a new construction. That means the land needs to be leveled out and fully prepared in order to host the new building. 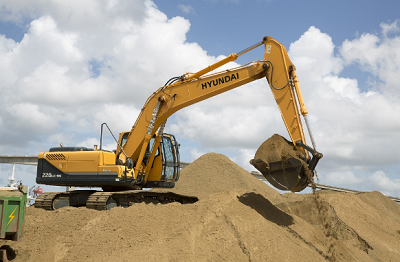 Instead of making things complicated and calling some other excavating company, give us a call as we're pretty sure we can get you a much greater deal for using our services multiple times. 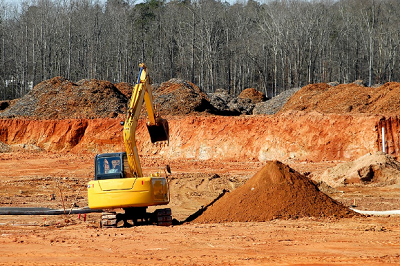 If you are working with Atlanta Demolition Services for the first time, then you may need our superior excavation services for hazardous and non hazardous waste. Or you may have some storage tanks you want dug up from the ground. In any case, put your trust in the most recognized and experienced demolition contractor in Atlanta, Georgia. You will be happy to know that all of our machinery equipment and excavators are fully licensed and in the greatest shape possible. We take care of our tools, and understand that falling back on keeping them upgraded, can result in very unfortunate situations. Which is why, we are very serious when it comes to having the most advanced pieces of equipment available, to ensure safe excavation projects. We have been in business for a little bit over twenty years, and we've kept accidents to a minimum. We are very responsible and very conservative in the way we do things in Atlanta. If you are not sure about the size of the project, give us a call anyway so that we can give you information on the process (how it's going to go down etc.) If you need to come visit us at our offices downtown, do so. Don't feel like - since we are a demolition company - we aren't capable of handling excavation projects. The exact opposite is the truth: we very much work on excavation jobs and constantly bid for those projects. Since we already have the heavy equipment and know how to handle our excavators perfectly, there wouldn't be much sense in keeping them locked up in our garage. We pretty much cover anything that has to do with heavy equipment and deconstruction. The only thing we do not do, is construction work from the ground up. You aren't going to see us building the next tallest skyscraper in Atlanta. However you may see us taking down a few of the older ones: so look out! When it comes to digging up the ground and really getting the excavation part of the project moving, we can pretty much handle any soil that is underneath. Even if it is rocky, we can blast the rock in order to dig the foundations. And if the other conditions on the site are difficult, rest assured we can take on that challenge. I mean, construction and every part of it, is "dirty work." So we just roll up our sleeves and move on with it. ​Honestly, the list goes on and on. We can pretty much take care of anything you possibly need. Give us a call when you feel like you're ready to get this project started.